John Digweed is a DJ and record producer from England. He began DJing at the early age of 13. His first major gig was at the club Renaissance in London after future artistic partner DJ Sasha heard his demo mix. Sasha and Digweed are a known duo for driving the progressive house/trance sound that became popular in Europe and North America in the late 1990s and early 2000s. 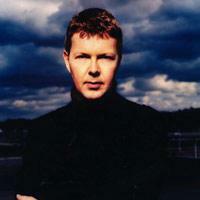 Digweed is known for his innovative and adaptive new music styles. Compilations mixed by John Digweed are filled with exclusive tracks that go on to become classic dance music anthems. It is fair to say that he is, to this day, one of the most influential figures in modern trance. John Digweed and Nick Muir produce music as Bedrock. Digweed is the founder of the record label Bedrock Records that has released a string of popular records and compilations.